Makers, educators and those looking to learn more about robotics or build their own robotic based project may be interested in the iRobot Create 2 Programmable Robot, which has been specifically designed to be coded. The programmable robotic platform comes complete with sample projects to get you up and running as quickly as possible and is ready to use right out of the box. No assembly is required and all low-level code is installed ready to control. 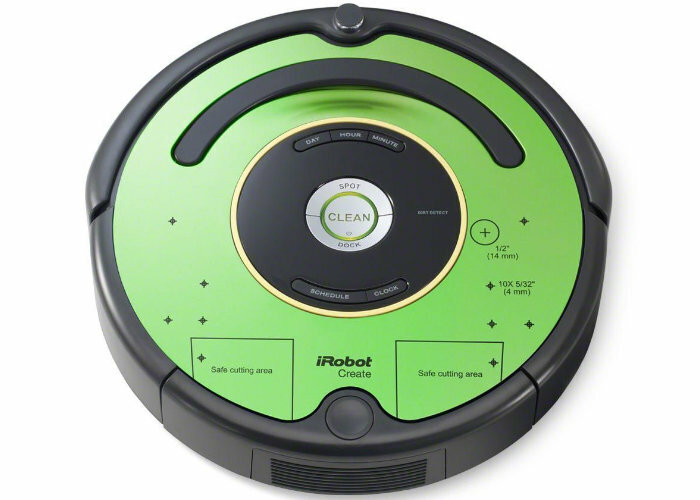 Other features of the iRobot Create 2 Programmable Robot include easy connectivity via the serial cable which sends commands from a computer or other microcontroller directly to the robot, integrated sensors also allow the robot to react to its environment. The robot includes preprogrammed behaviours that can be controlled via Open Interface Commands and a drill template on the faceplate allows you to easily add extra components, modules and electronics revealing the safe areas to drill and connect your structures and cases. Another handy feature of the iRobot Create 2 system is that it will return to its Home Base station to dock and recharge when the battery runs low, after approximately three hours of use.